The Edmond Young Professionals' mission is to exchange ideas, interact socially, and share a common interest in order to position themselves as Edmond's leaders of today and tomorrow for the betterment of our community. Learn more about EYP. "I love having the opportunity to serve my community, build relationships and am honored to work alongside other amazing young professionals to help educate and develop strong leaders. The Edmond Chamber and EYP has done so much for me personally and professionally and I want to give back and assist others be their best selves." 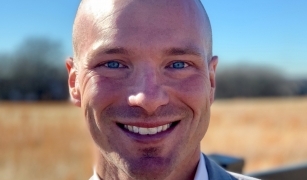 "Edmond Young Professionals has been a huge part of my professional career and development. The ability to serve, network, and learn more about the Edmond community are all opportunities provided by EYP. There is a great group of young professionals apart of EYP in which I believe will be the future leaders of Edmond." "I enjoy being around other young and youngish professionals who have similar goals; expanding our professional networks, enhancing our own knowledge, and serving the fantastic Edmond community of which we are blessed to be a part." "In joining EYP, you're able to serve your community alongside other people with common goals and interests. EYP provides several ways to give back to your community." I joined EYP to network, communicate with, and learn more about the Edmond business community. I have enjoyed getting to meet with and talk to other young people in the Edmond business community. Through EYP events I have had the opportunity to meet some very bright, talented, and successful young people. We talk about those issues which matter most to young people in Edmond. I have enjoyed getting to meet like-minded professionals from different industries to create relationships, come together for good fellowship, and grow each other’s businesses. I am amazed by how EYP continues to grow every week. It is also inspiring to see more millennials taking action and passionately striving to make differences in the community. I’m definitely excited to be a part of group that will take Edmond to the next level. 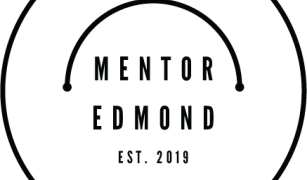 Edmond Young Professionals is an organization comprised of a diverse group of professionals that range in age from 21-40 or young at heart, who are looking to advance their careers and build relationships with local community and business leaders.